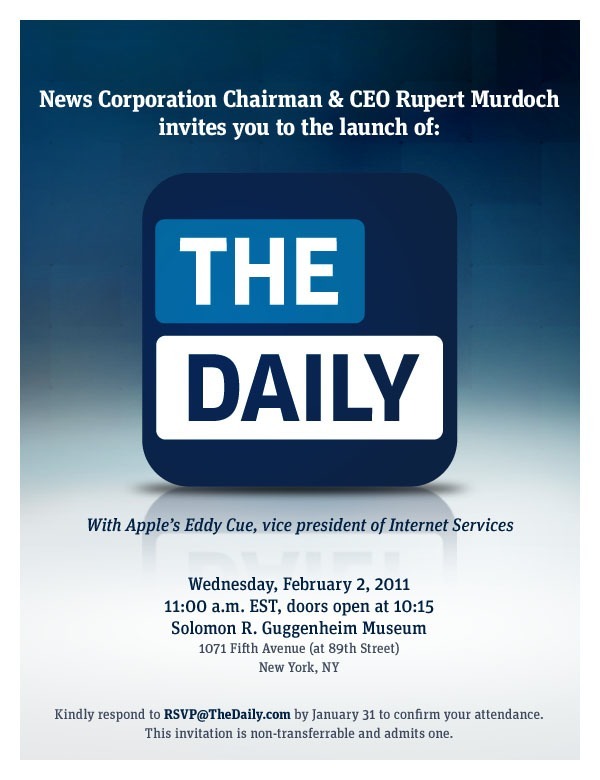 It’s official: Apple and News Corp will be holding a media event to announce The Daily on February 2nd, writes The Loop. Invites have gone out to media outlets inviting them to join CEO Rupert Murdoch at the event. The Daily is the much-rumored subscription-based iPad newspaper that will cost $0.99 a week and use a new subscription payment system inside iTunes. Presumably a new version of Apple’s jukebox app will also be made available.